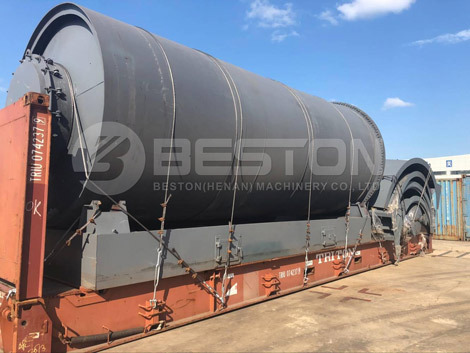 BLJ-16 tire pyrolysis plant is used to dispose of waste tire. 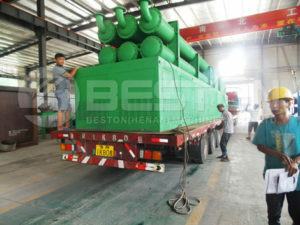 You can get fuel oil, carbon black and steel wire from pyrolyzing. 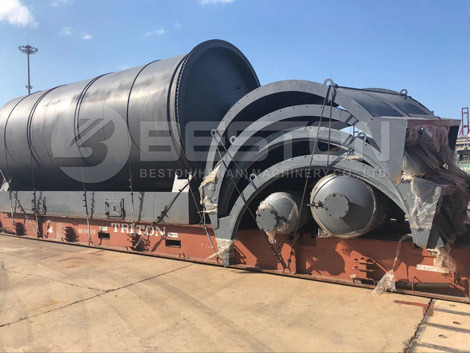 Through knowing the profits of pyrolyzing waste tire project, South Africa customer purchased the tire to oil machine from Beston Machinery. He thought it was a good, eco-friendly and valuable way to recycle waste tires. 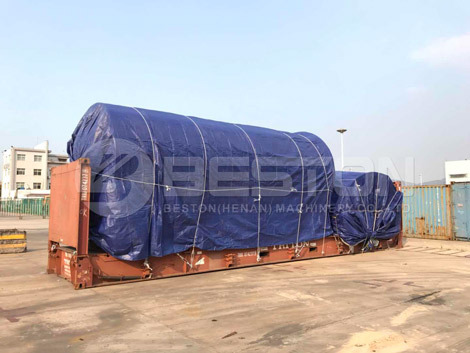 In order to provide high quality and intact tyre pyrolysis plant, we packed all spare parts of the plant with thick material. 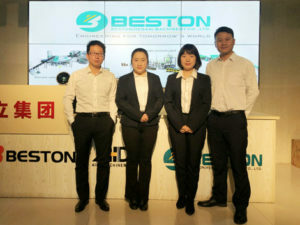 From the feedback, we knew that the South Africa customer was pleased with the plant. Meanwhile, we would send our professional engineer to South Africa to install the machine. 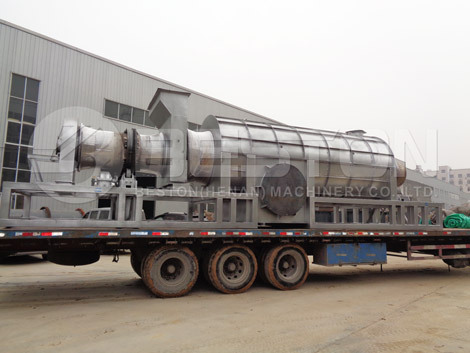 Tyre pyrolysis plant is one of our hot sales products. You will certainly make a lot of money from investing this business. 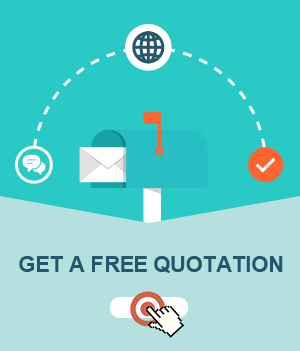 If you are interested in, contact us now! 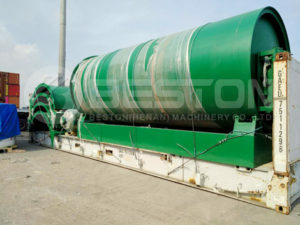 Beston Machinery will customize the pyrolysis unit for you.